Do not point this gun to other! 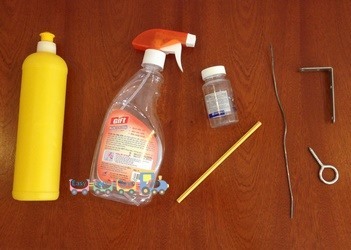 Kids SHOULD NOT use the darts in this tutorial as the ammunition, you should only use soft things like the cotton head of the ear-cleaner stick! 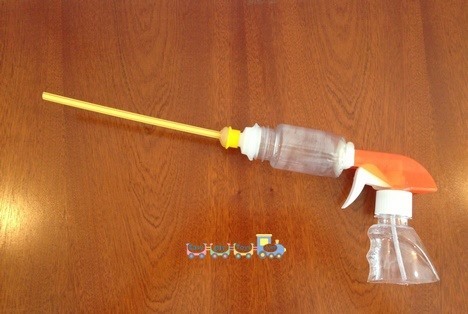 Cut the glass cleaner bottle to make the handle of the gun. 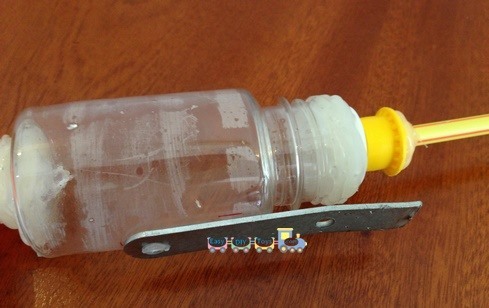 Bore a hole at the bottom of the small plastic bottle, glue this to the gun handle in to an airtight block. 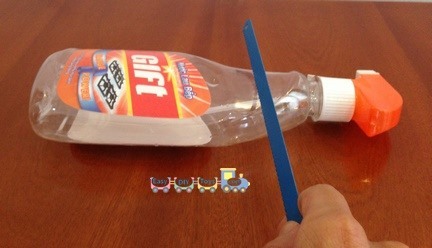 Stick the straw to the dishwater bottle's cap then stick them to the hole of the plastic bottle. Remember that everything must be aritight. 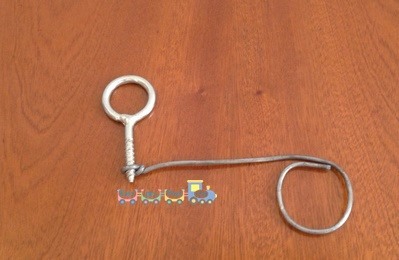 Break the L-shape hook make a ditch at one end, then stick it to the plastic bottle lie this. 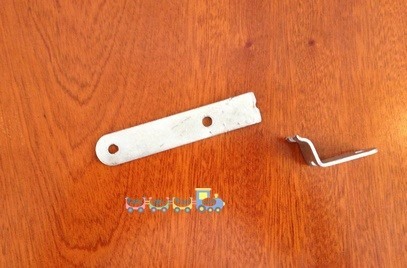 Tie your zinc piece to the circle hook and bend in this shape to make the trigger for your DIY Airsoft Gun. Assembly the block n step5 to the main block of the DIY toy gun. 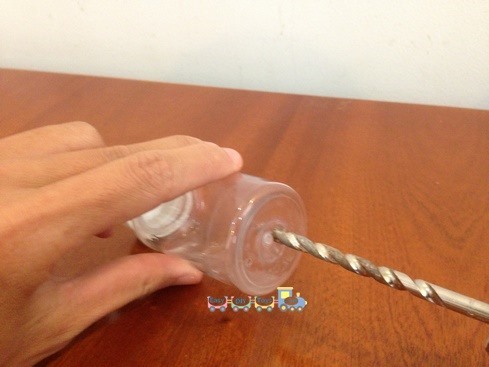 Use some ear-cleaner to make the bullets, make dangerous bullets by adding a toothpick. 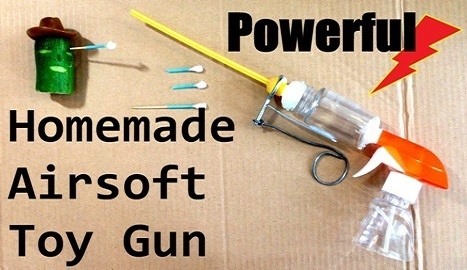 Put 1 bullet in the toy gun barrel. 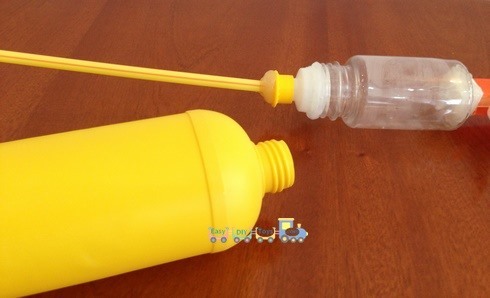 Close the yellow cap of the dishwater bottle. 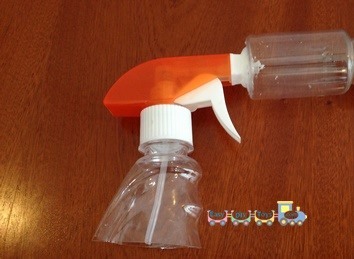 Pump the handle until the pressure in the plastic bottle high enough, again, you DIY toy gun must be airtight! 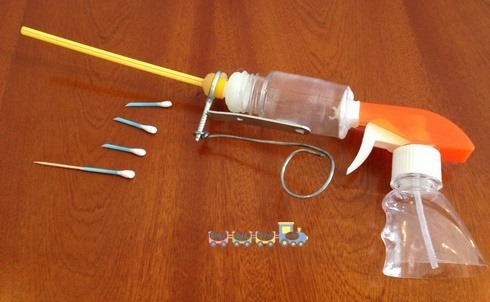 Pull the trigger, this will suddenly open the yellow cap, the air pressure will shot your bullet away strongly.